There is a wingless Cessna in GTA 3 that is so impossible to fly that the game counts how many seconds you manage to fly it. Would that plane fly at least 1 second in real life? The plane looks like a C152. Here's a video where that plane appears. The minimum speed of a Cessna 152 is 43 knots while the maximum speed is 110 knots. If the wing area is reduced to one half of its original size, and we accelerate to twice the minimum speed, the induced drag is half as much as that of the original airplane at minimum speed (but still eight times higher than that of the original airplane at the same speed!). Dynamic pressure scales with the square of airspeed, so it grows by a factor of four. so the induced drag (which scales with lift coefficient squared over aspect ratio) is only half as much. Now to friction drag: If the surface area would remain unchanged, the doubling of speed quadruples the friction drag. Since friction drag is dominant at high speed and the original engine and propeller managed to overcome that drag at 110 knots, it would at most be 61% of that drag at 86 knots. Engine power is constant over speed and thrust proportional to the inverse of speed, so the excess thrust at 86 knots would be 28% higher than at maximum speed, leaving an excess thrust for induced drag and acceleration of at least 67%, which should easily be sufficient for takeoff (if the runway is long enough). I would only be worried about the lack of ailerons - they have been cut off with the outer wing as well. Theoretically, the clipped version should be capable of a higher maximum speed, but that would most likely be limited by tail flutter and dropping propeller efficiency. While clipping half the wing will still render the result somewhat flyable, if more than half of the wing is clipped, I would start to doubt that it can be brought into the air without further modifications. 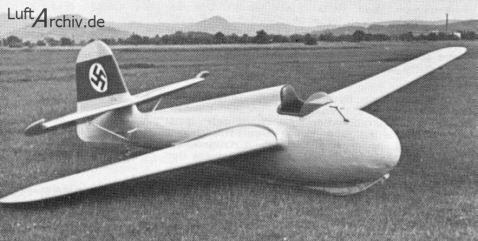 When the Luftwaffe tried to train pilots for the Me-163, they turned to gliders with clipped wings, so their minimum speed would more closely resemble that of the rocket-powered interceptor. The DFS Habicht (hawk) aerobatic glider became the Stummelhabicht (stumpy hawk) when new wings of reduced span (from 13.6 m to 8 and later only 6 m) were fitted. Stummelhabicht (picture source). It was fun to fly, but all speeds were quite a bit higher than those of the original glider. After all, it was built to prepare pilots for a glider with a landing speed of 200 km/h. 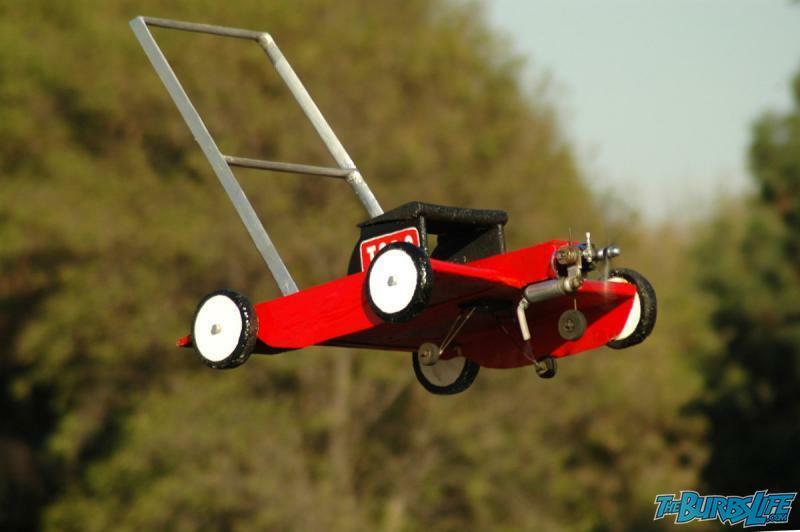 There is an old saying "If you put a big enough engine on it, you can make anything fly." 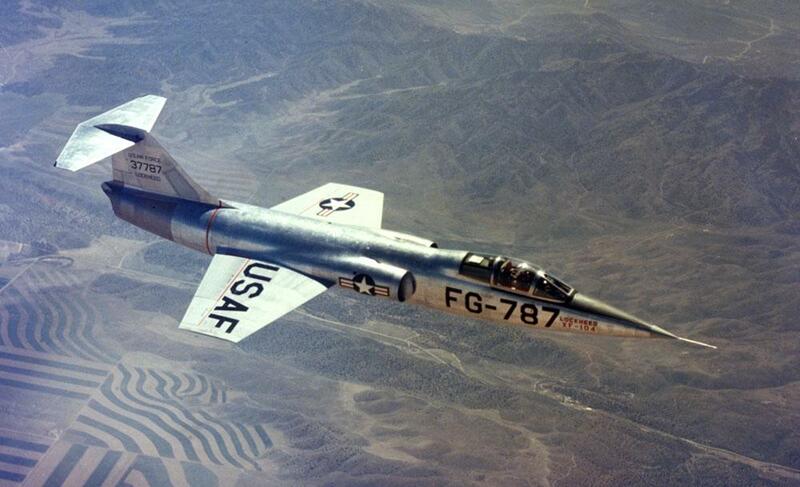 The Lockheed Starfighter was a classic example of that. With its short stubby wings it is basically a guided jet engine / missile. With small wings you have two issues. Obviously, the sheer lack of lift at low speeds, but also the lack of control surface area at those speeds. If you go fast enough it balances out, but takeoff and landing become a major challenge. Could you do that with a modified stock Cessna? No. The airframe simply would not be strong enough to support the required engine and the drag would be horrendous. At the airspeeds you would need, it would break up. Could you build something that looks like a stock Cessna but with stubby wings? With enough money and resources, I'd guess anything is possible. Either built like a truck with a huge engine, or some ultra-lightweight version. But it would be a novelty, an airshow item at best. If you chop 3/4 of each wing off will a plane still fly? The answer is more or less no. The wings simply won’t generate enough lift which is a factor of their size and shape. It may actually be possible that at a very high speed the nub wings would generate enough lift to fly but your body design may be the limiting factor there. Can an airframe be modified to fly with stubby wings? Then the answer is yes. On the extreme side you really don't need wings at all if the body is designed to generate lift. Although never really commercially a success NASA experimented with lifting bodies for a while. There have been flight capable aircraft with some pretty small wings and generally a wing can be made shorter by increasing its camber but there are practical limits to this from a drag sense. Not the answer you're looking for? Browse other questions tagged flight-planning cessna-172 cessna-152 cessna-150 cessna-162 or ask your own question. Is there a way to **decelerate** significantly without an “eyeballs-out” sensation? How to fly to an uncharted airport? Which is safer? The Piper Tomahawk or the Cessna 152?